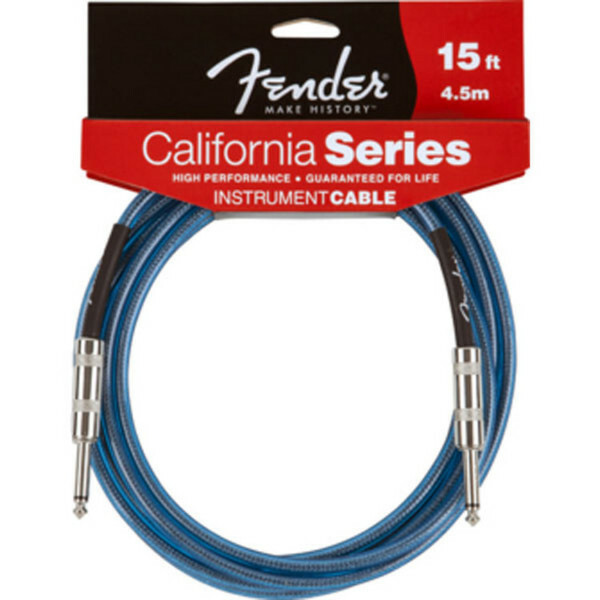 Fender California Series instrument cables are specifically designed for high performance. They offer superior sound quality and frequency balance thanks to the braided shield, which is optimally stranded with OFC copper. They come in a variety of eye-catching colours and are backed by a lifetime guarantee from Fender. This cable is finished in Lake Placid Blue, and is 4.5m / 15ft long.